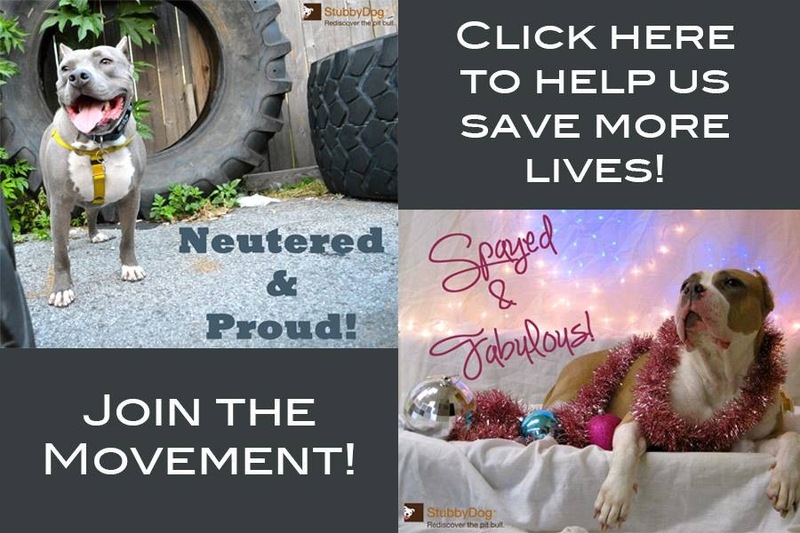 By Marthina McClay, CPDT of Our Pack, Inc.
I’m old enough, I hate to say, to have lived through the bad raps of the Dobermans, German Shepherds, Rottweilers and pit bulls, but at Our Pack, Inc., we’re beginning to see another breed bust the seams of our local shelter. 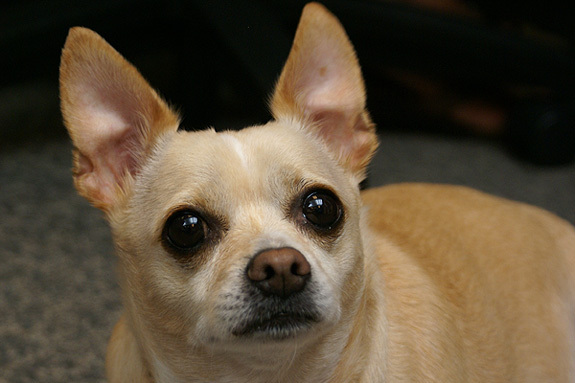 I’m talking about the dog that’s been called “a yappy little thing.” Chihuahuas. This tiny little dog has even been put on the “the most dangerous dog” list in some cities, and they’re subject to horrible breeding “programs” that cause problems in the bloodline. I’ll admit, I’ve been guilty of my own breed profiling in the past, and I live with a Chihuahua today. Chihuahuas and their mixes are now lining the shelters and are also beginning to be seen not as individuals but as a group, general term, image or brand that has a negative connotation to it. I’ve learned when a dog stops being in fashion or the economy hits families hard, the dogs end up at one place: the shelter. However, I would hate to see a bad rap happen to yet another breed. There are lessons learned from the many breeds before this that have had to suffer the unfair profiling and ruined image due to irresponsible ownership. We “pit bull folk” have experienced this horror first hand. Just like lots of different kinds of dogs are called pit bulls, the same thing is happening with small dogs. Any little mix is dubbed a Chihuahua. Since the dogs aren’t properly identified by their breed, anything that looks similar to the breed is lumped together, and it causes breed profiling based on looks, not DNA tests. In my experience Chihuahuas are great dogs. 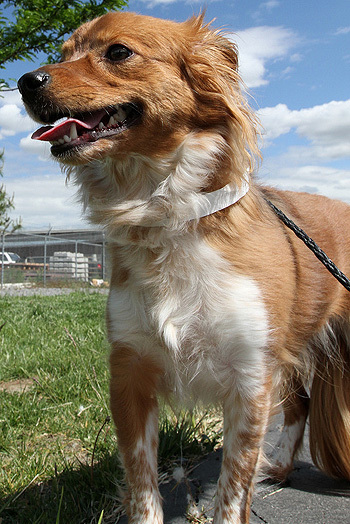 They love their owners and are great family dogs with proper socialization, training and management. The dogs themselves aren’t the problem. The root cause of their notorious behavior comes from a broken relationship between humans and the dogs. When untrained, mistreated or not socialized, they may exhibit bad behavior. The biggest thing that all of the dogs I’ve mentioned before like Dobermans, German Shepherds, Rottweilers, pit bulls and Chihuahuas is that they’re our responsibility, and it’s our job to take care of them as our pets. When enough people fail to care for the dogs properly, not only do the individual dogs suffer, but their reputation as a whole suffers, which drives up the rate at which they’re dropped off at the shelter, increases euthanization rates and reinforces incorrect stereotypes. It’s your responsibility to facilitate a good image for all dogs through proper ownership. The dogs can’t do it themselves, but they’re the ones who will suffer and ultimately perish for it. I go to school outside of Los Angeles, and the shelters there are overflowing with Chihuahuas and Chihuahua mixes. They’re often the dogs you seem roaming the streets. It’s so sad; hopefully this movement against them can be stopped. @NatValCas I never, ever thought about Disney’s affect on “fads” in the pet world. Holy cow, you’re right. I wonder if the true is same with horse movies and the fallout after their popular release? Wow. I’ll admit that I’m one of those people that are more comfortable around big dogs than I am little ones. When I was a kid I was bitten by a Pomeranian. I didn’t know at the time that some other kids had just finished tormenting it and had walked up to pet it like I always did then SNAP! right on the hand and it didn’t want to let go. No stitches but boy did it bleed and hurt! I blame the kids for the bite but I can’t help being a nervous around little dogs to this day. I have 4 rescued pit bulls and 2 rescue chihuahuas. They are from shelters and rescues. I always take the ones who need rehab. While I have to admit the pitties were easier to get to trust people again, the chi’s are also great dogs. They are not all the yippy biters people think. The chi’s run my house, well dog wise anyway. It’s their house the pitties just live in it. People sometimes have to see it to believe it. Our shelter here is full of pit bulls and chihuahuas. It is very sad to see. @pittymom How nice that you rescue dogs that are in most need of good homes. Sounds like you have a very happy household. I’m aware of some individual chihuahuas that have been put on municipal dangerous dog lists by virtue of their behavior, but I know of no US city, county or state that considers a chihuahua inherently dangerous merely due to breed. Can anyone provide an example? I personally don’t like Chihuahuas, or any small dog for that matter. I am of the belief that, if the dog weighs less than 25 pounds, it’s really a cat. I think that dogs should serve a purpose beyond simply companionship, and a lot of smaller dogs don’t. I’ve been meeting more and more people who agree with me over the years. Dogs for fashion are no longer the trend. With the economy in something of a slump, people are less willing to pay vet, training, and boarding bills for a fashion accessory. Although I may not like small dogs, I do think that it is sad that more and more dogs, of all sizes, are being surrendered to reduce fiscal responsibilities. I hope that, in the future, more owners and breeders alike will consider all aspects of ownership before taking on the responsibility of a dog. @pittymom Fully agree with you Pitty mom. To judge by Mash’s scars she must have been through hell, but she never (not once!) showed any aggressiveness towards my hubby or me, the cats or the neighbours boys. I sometimes wonder, what I would have become going through what she went trough. @MarthaMay If dogs should serve a purpose beyond simple companionship, then so should humans. And since my cancer caused abdominal hysterectomy, I do not serve any other purpose anymore. Evolution-Biologically speaking, of course… So where do I go to be to be put to sleep? @MarthaMay Whether you like small dogs or not, what you said is important, owners and breeders should consider all aspects and the dogs’ needs and personality before taking on that responsibility. @NatValCas @pittymom So sorry for your loss, but not only did you learn forgiveness, (we think all dogs can teach us something) but you also gave her a wonderful life full of love and fun that she wouldn’t have had without you. So please take comfort in that thought. I didn’t like small dogs at first but definitely had a change of heart due to my Izzy. My daughter and I were at the humane society walking dogs on an Sat. We never went to see the little dogs as we only walked the large dogs. One day we just decided to walk over there and look. There she was in the back of her cage shaking uncontrollably and very skinny. We asked about her. She was abandoned. Her owner had moved out and left her there alone. My daughter wanted her. At first I said NO!!!!! We are not getting a small yippy annoying little dog. I know stereotyping just like people do our pits. Went home without her, but I kept thinking no one is going to take a scared skinny dog home. I decided I shouldn’t judge her by her breed. We went back on Monday and adopted her. For the first few days she wouldn’t come out from under the sofa. Everytime we went to touch her she dropped in fear. I took her everywhere I could for months to be socialized with people and other dogs. She is not perfect but has come a long way. She actually barks at strangers now instead of hiding. She takes her time in getting to know people. She is in no way yippy or annoying. She loves the pitties and her first best friend was Uno, my 65 pound pittie. He’s my breed ambassador. He loves everything and everyone. He was abandoned in a back yard with a bad case of demodex which we are still fighting. We get lots of looks at PetsMart due to the difference in size. She is only 8 pounds and will stand under him when she gets nervous. The most common- they get along? or what a pair!!! All my dogs purpose in life is to have happy healthy lives they didn’t have before. @jbsibley I was talking about a couple of dogs in New Mexico. You’re right. However this sort of “labeling” is often what starts it for a breed to be more and more labeled and generalized etc. The owners should actually be held accountable and the behavior should never be attributed to any breed. @marthinam Totally agreed but I still think the statement in the article about “the list” is misleading and suggests that the breed is subject to bans. I know of a cat in CT that was declared to be a dangerous animal as well; I do not fear impending Dangerous Cat Legislation. @jbsibley Yes, ageed here also. When I first posted the article I believe I have attached this link http://www.kob.com/article/stories/S2089621.shtml which had said ‘list’ in the title. My point was to indicate that it was ridiculous not that the breed in on a list. Sorry for the confusion as I can see how it can easily be interpreted that way. And also, thank you very much for bringing such an important question. As the above point is that this can be where it starts. In my opinion much discussion and changed needs to happen for our guidelines to change in these areas. 🙂 Thanks again! @jbsibley Also, as a side note and point of referrence, I did remove the above mentioned link from the article just after I posted it. As an afterthought I felt that it actually would just forward more false info about the dogs. However, I did leave the text the same not thinking to change it. Just fyi. Also, please forgive the horrible spelling and grammar errors above! Yikes! Always in a hurry. To Jbsibley and all, thanks again for the great discussions and comments! @NatValCas @pittymom So true that we learn so much from our dogs and cats. Some of the best things I’ve learned have been from my dogs. I’m sorry to hear of your loss. Sounds like she was very lucky to have you and you were lucky to have her! @LauraPetrolino @annedreshfield @NatValCas I so agree with this. I remember as a kid when we had dogs, having learned that we had to take care of them, walk them, feed them etc, I’d watch tv shows as mentioned above and I’d think how strange it was that there were these dogs that you didn’t have to take care. It can do damage. @MarthaMay I think chihuahuas were herding dogs. The small breed dogs were not “designed” for “fashion.” Most of them also have histories of work, sometimes in partnership with larger breed dogs. @NatValCas @pittymom My first dog was not a rescue. She was a gift , along with her pup, from farmer to farmer. The receiving farmer was my grandfather. Rescue is a wonderful thing. Puppy mills are a horror. However, there have always been and always will be people who raise and care for lines of dogs whose “family resemblances” are as cherished as the shared traits of the human family members. I love little dogs! I have 6 and my long-haired chihuahua is the sweetest one. I rescued him from Maricopa County Animal Care & Control, where there is an abundance of chis and pitties. If I had a big dog, it would have to be a pittie. Hoping in my lifetime to see no more discrimination…. -sighs-So the secret is out that my lil 4 lb Chi is a killer…what to do.Dangerous? ANY dog can be dangerous,its up to the owners to be present and responsible for their family members/pets.Its so sad to see so many breeds discriminated against. My baby girl DOES believe she’s 100x bigger than she really is,and she keeps my 80 lb lab and 25 lb fox terrier in line,but never,EVER have their been serious injuries,from her to them,or vice versa.She also looks pretty darn cute in her little dresses!! @MindiBunnyPaws So true! My Chi mix live with 5 pit bulls and she doesn’t see herself any differently than they are. If they don’t discriminate then why should we right? It’s funny, cause not too long ago there was a “Dog Whisperer” episode where this woman had a Pit Bull rescue, but she had Cesar come out for her chihuahua, who was terrorizing the pitties. It’s a shame to see any breed get a bad rap, when, like many other posters and this article has stated, that the problem isn’t the dog, but the humans…many people treat these little dogs like children, or worse…dressing them up, carrying them around…there was Dr. Phil show just last week I saw where a lady loved her chi, and said his paws never touched the ground outside! @KateRowanWilliams Yikes, it’s not good when people forget that dogs need to be dogs. Thanks for your comments. @MarthaMay Small dogs have always served a purpose. People forget that many of them have been bred as guard dogs. So their nature is to be strong. People allow this to go unchecked and they turn into rabid nasty little creatures. I have a Miniature PInscher. Their purpose is to go into burrows and chase out harmful vermin. Badgers, much bigger and meaner than a tiny 10 pound dog. I have to be really hard on her to curb her nature. She’s quite fearless. People think I’m cruel because she’s so little and adorable. But the alternative is she bites someone and gets put to sleep. But her courage suits my life. She rides on my scooter. We hike rugged terrain. We went out with a friend of mine and her boyfriend. He was angry I brought my tiny dog. He was certain she’d get tired and he’d have to carry her. By the end of the day he was in constant praise of her determination and endurance. He nicknamed her Little Big Dog. My pit bull doesn’t have her endurance. Or her courage.